Dinosaurs Classic Tales: Includes Goldiscales and the Three Giant Sloths, Cinderellasaurus, ... was written by Disney Productions. 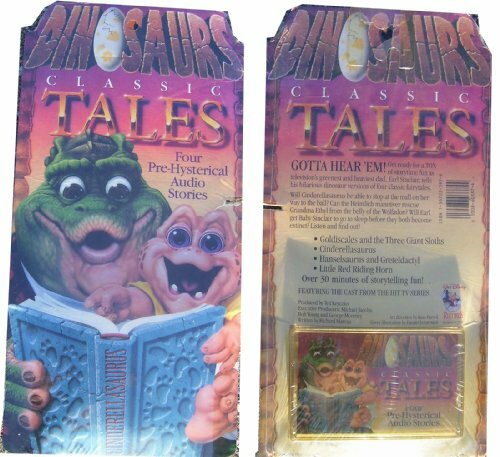 Dinosaurs Classic Tales: Includes Goldiscales and the Three Giant Sloths, Cinderellasaurus, ... was published by Walt Disney Music Company/Wonderland Music Co. Subjects of Dinosaurs Classic Tales: Includes Goldiscales and the Three Giant Sloths, Cinderellasaurus, ... include Audio - Children's, General, and Juvenile Fiction.